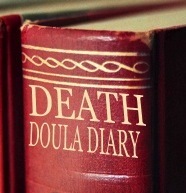 Death Doula Diary: How Do You Handle The Emotional Impact? She said this quite earnestly. In fact, all of her words had poured from her lips in rapid succession, a mixture of anxiety and curiosity. She meant it all, in the kindest way possible. She was clearly just searching for some answers, for some understanding. I wasn’t new to such queries. In fact, I’ve lived through this scenario endless times, though she expressed herself more candidly than some do. I’ve developed several answers to this line of questioning over the years, and choose my response based on what I think the individual is trying to discover. There is, of course, the practical answer, explaining that one must have an excellent support system in place, and practice solid self-care – and this is as honest and true as it comes, and tremendously important. Were it not for my solid sisterhood of fellow death professionals and my closest loved ones, I wouldn’t be able to process the many things I see and experience – and let me tell you, there is some madness, some deep deep sadness, and the obvious sense of utter unfairness that accompanies death – though, too, there is beauty and love and joy and wonder, too, believe it or not. More on that in other posts, though, lest I digress too far from this particular conversation I’m sharing with you. The practical answer is especially useful to those who are trying to balance their own complex careers, be they fellow death workers, or medical care professionals, or even massage therapists, clergy, counselors, or heck, even fellow parents – we all need a solid support system and excellent self-care, I mean, these are the things upon which shape the foundation upon which we build our lives, yes? But there’s another answer, one I think this woman may get. So I combine them, I begin by simply saying that one must practice good mental and physical health strategies of course, through good support systems and excellent self-care, but that there is, in reality, another phenomena that accompanies this work for so many of us. It can be on one hand draining, exhausting beyond compression, and it can twist our hearts inside out, oh, how loss can crush our hearts – and indeed, we provide support through the most challenging of situations and circumstances, and often a part of that help involves taking the burdens of others upon ourselves for a time. And yet…with this, there is the unique gift of knowing that you created and held space for someone at one of the most pivotal moments they will ever know, and that you personally helped bring beauty, strength, and peace to that space, or at least more than would have otherwise been there. There is renewal in that; there is a certain peace that comes with knowing that the heartache of death can be eased somewhat, there there is something such as a good death, as opposed to the alternative, and that you are a part of that, and that one day when your own times comes, you will have an idea how to create that for yourself, and in the meantime, for loved ones who may need that support. Too, one must face all of those fears and anxieties, the ones this young woman before me brought up. We live in a culture where we bombard ourselves with images of death day in and day out. Turn on the television, visit the movies, watch the evening news, or play a video game, and you are likely assaulted with mentions of death. And yet…all too often we become desensitized to such things; we’ve become so accustomed to seeing them, that we no longer relate to them, they are just some ‘thing’ that occurs in film, tv, and in video games. Too we’ve detached ourselves from connecting with death, the majority still die in hospitals or nursing homes, and too often, as soon as someone dies, they are swept out of sight as quickly as possible, for embalming that will give us the illusion they are sleeping. We quickly hold a viewing and funeral, bury or cremate them, and are expected to quickly return to life as usual. Once upon a time there were obvious signs of mourning. There was mourning attire; there were armbands one would wear; there was mourning jewelry. We had various ways to indicate to others that we were perhaps a bit more fragile or introspective right now; these things allowed us to create and hold for ourselves the space to process the loss, to grieve as we needed to, and to not have to make excuses or pretend we had jumped right back on the bandwagon. Those things allowed us the space to actually experience and process loss. Today, however, with death and mourning quickly under the rug swept, so to speak, we have to stuff any inconvenient emotions or thoughts back inside. I’d dare to suggest that most are, in reality – were they allowed the space to genuinely consider it – terrified of death and loss, even if they’ve experienced loss before. How can they not be? See, the only way to truly come out to the other side, to reach a space of peace with the great big commonality we all share, is to stare death in the face, to come to terms with the fact that tomorrow isn’t promised, and that yes, life is precious and actually, quite fragile and precarious more often than we imagine, and that we should never take a single day for granted. If we face death and loss directly, if we stand within that carved out space, meeting the emotions head on, instead of sweeping them away, we will own them, we will have died to self, as some philosophers have put it, allowing us, if you will, to be more fully and completely born unto life. What this creates, as a result? Ah, that IS exciting, and the answer this young woman was so clearly looking for: It leads to our wanting to carpe the hell out of every single diem. Once you’ve reached that space, once you’ve seen how often one can be blindsided by the unexpected inevitable, you no longer put off until tomorrow what can be handled today, and you don’t procrastinate dreams, or hesitate to speak those words of love, and you certainly don’t take yourself – or life, or first world problems – at all too seriously. You learn to laugh at the irony of life. You learn to embrace the gorgeous beauty ever-present in the world around you, for it is ever-there, waiting for you to discover it – even Victor Frankl writes of finding beauty and hope while in a concentration camp. Joy, love, wonder, beauty, these things are available to us every single moment of our lives, if we open our hearts to them. And that? Is how someone who works at the bookends of life can come to be so regularly in a state of joy, so quick to laugh, so willing to tell you how they feel, and so quick to act when they see a need that must be met. You learn that life is a gift, and that you are the very fortunate recipient, alive here and now, able to bask in the wonder that is living, and that is the gift we receive for serving as we do – we are blessed with life fully realized, we take on the pain and heartache in the world, but rather than our hearts closing to life as a response to pain, our hearts are broken open, all the better able to both give and receive all the world has to offer. How can I smile so bright, and be so quick to laugh? I’ve learned firsthand that this big and beautiful adventure we call life is, while unpredictable, also a gift beyond compare. I consider myself to be one of the luckiest women alive; the work that is mine, while yes, achingly heart-rending, is also both life and love-giving.